Eyphah is a wedding ring for men and women that has a cool, smart, and stylish design. It is a comfort-fit ring and comes from our line of black titanium rings. This band is created with high-tech style by Benchmark Rings, and it is made from tough, aircraft-grade black titanium that is not only attractive but also completely hypoallergenic. It has a slightly domed design that features a beautiful black carbon fiber inlay. Carbon fiber is a light yet strong reinforcing fiber that is used for space and aircraft, sporting goods, and luxury sports vehicles. When applied to jewelry, it has a stylish and modern feel that is evident in the Eyphah titanium/carbon fiber ring. This appealing titanium ring can be worn as a wedding or engagement band, or it can be either a men’s or women’s promise ring. 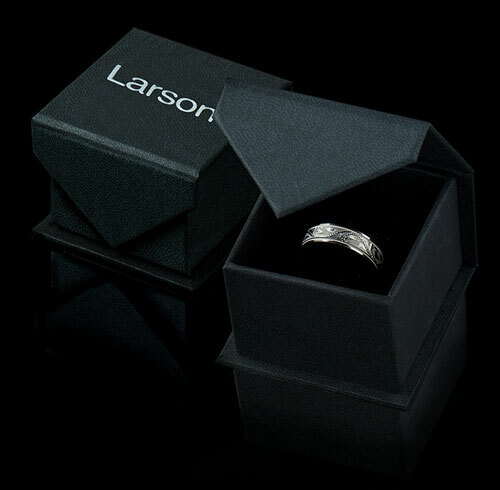 At Larson Jewelers, we are proud to present our customers with the Benchmark titanium black-band line of rings and make them available for sale here on our site. A black carbon fiber and titanium wedding band is the ideal choice for the couple or individual who prefers to buy a dark-colored engagement or wedding ring. It is also the perfect choice for people who want a band that is both strong and lightweight. When you purchase a Benchmark titanium ring with carbon fiber inlay, it is black all the way through. Unlike like many imitation rings that can be found on the market, the black titanium in this titanium/carbon fiber ring is not a coating that can be easily scratched off. Available in 8 mm width, this titanium ring with carbon fiber inlay is approximately 2.3 mm thick and weighs roughly 3 to 5 grams. Your carbon fiber/titanium wedding band order comes with the Truly Free Benchmark Lifetime Sizing and Lifetime Warranty. 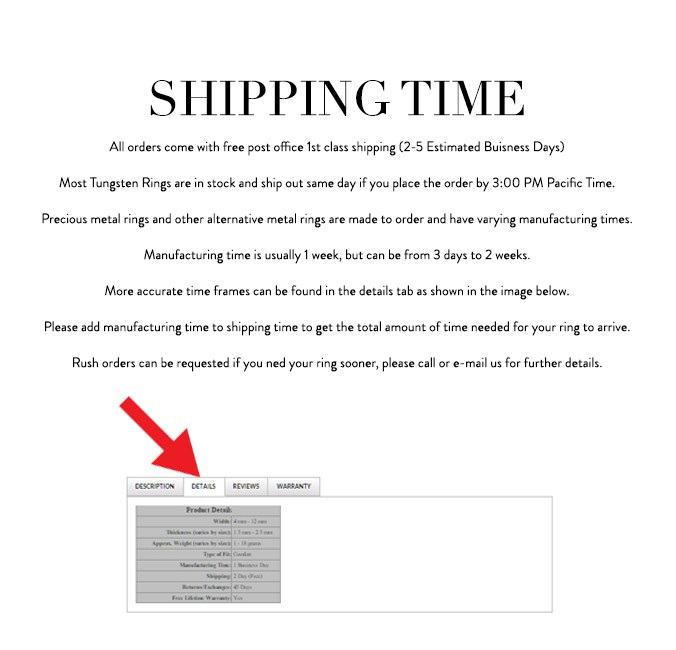 With this warranty on your titanium/carbon fiber wedding band, you’ll pay no exchange or sizing fees for life, unlike with other, competing retailers, who do charge a fee. If you ever find a defect in your ring or if your finger changes size, just send back your ring and you’ll get a free replacement. Shop with confidence with Larson Jewelers!